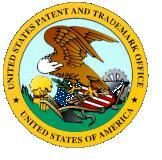 According to the USPTO website, 8,000,000 patent issued today, August 16, 2011. The patent is entitled “Visual Prosthesis” and the inventors are Greenberg, Robert J. (Los Angeles, CA, US), Mcclure, Kelly H. (Simi Valley, CA, US), Roy, Arup (Valencia, CA, US). The patent is assigned to Second Sight Medical Products Inc. The patent took almost four years from filing, October 18, 2007, until issuance. Hopefully, this company did not need this patent to secure funding, which is common. This illustrates one of the major problems with our patent system – namely the absurd length of time it takes to get a patent issued. A patent is a property right and if it took you four years to obtain title to a car or house or stock you bought you would think you were living in a third world country. In a healthy eye, the photoreceptors (rods and cones) on the retina convert light into tiny electrochemical impulses that are sent through the optic nerve and into the brain, where they are decoded into images. If the photoreceptors no longer function correctly, the first step in this process is disrupted and the visual system cannot transform light into images, causing blindness. The system awarded patent number 8,000,000 is designed to bypass the damaged photoreceptors altogether. A miniature video camera housed in the patient’s glasses sends information to a small computer worn by the patient where it is processed and transformed into instructions transmitted wirelessly to a receiver in an implanted stimulator. The signals are then sent to an electrode array, attached to the retina, which emits small pulses of electricity. These electrical pulses are intended to bypass the damaged photoreceptors and stimulate the retina’s remaining cells to transmit the visual information along the optic nerve to the brain. Of course, I am sure that the patent critics will complain that this patent is an example of how the Patent Office issues bad, overly broad, patents for inventions that were created years ago. This is clearly obvious in light of modern electronics and an understanding that the brain is really just electrically signals. What is unique about converting light signals into electrical signals anyway? It really all boils down to wiggling electrons, which has been done since man first harnessed fire. I am sure that the critics will point out how this patent does not encourage innovation and is just legal title to sue and waste resources that would be better spent on engineers??????????????????????????????? ?